At Jensen Sondrall Persellin & Woods, P.A. we understand that no one likes to think about death and dying. We also understand that if an individual is adequately prepared, a weight is lifted off of the shoulders of family and friends and, when the time comes, the distribution of assets can be relatively quick and easy. One common misconception is that estate planning is only for those who are wealthy and/or have large incomes. On the contrary, estate planning is for anyone who desires that particular assets reach a particular destination. At Jensen Sondrall Persellin & Woods, P.A. we are experienced in providing estate planning along a spectrum of income levels from hourly wage earners to other professionals with both family and business concerns. Estate planning may include wills, spousal and children's trusts, insurance trusts, special needs trust, irrevocable trusts, health care directives, powers of attorney and various other tools that, when used in combination, can reduce estate taxes, protect beneficiaries and protect your assets from creditors. At Jensen Sondrall Persellin & Woods, P.A. we can help you put a plan in place to get the property that you own to the people that you love. 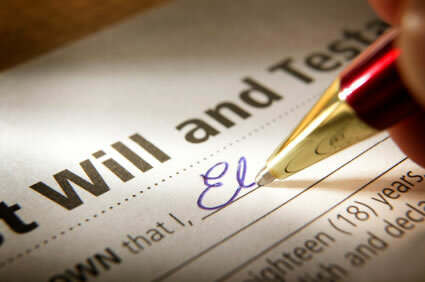 A will is the most commonly used estate planning tool. A will can be simple or complex, depending on the purpose of the individual (the testator) and the size of the estate. Not only can a will distribute assets, but the testator can use it as a tool to appoint certain individuals who he/she wants to perform vital functions once the testator is incapacitated or deceased. For example, if the testator has minor children, he/she may nominate a guardian who will take care of the minor children in the event that both parents are deceased. A will also allows the testator the opportunity to nominate a personal representative; a personal representative is someone who handles, among other things, the distribution of the assets. In 2008, the Minnesota legislature enacted Minnesota's transfer on death deed statute. A transfer on death deed, commonly known as a "TODD", transfers the title to a person's home or other real property to their chosen beneficiary upon the person's death. The TODD is an instrument of conveyance that must be signed by the person owning the real estate before a notary public and recorded with the county recorder or registrar of titles prior to the owner's death. The TODD does not transfer an interest in the property until the owner dies. Therefore, the owner has complete control over the property in the same manner as before the TODD was signed and recorded. Additionally, the owner can revoke the TODD or name new beneficiaries through a new TODD at any time prior to owner's death. Upon the the owner's death, the beneficiary records an affidavit with a death certificate to pass title to the property. A TODD is advantageous to avoid probate when the individual's primary asset is their home. A TODD allows a person to transfer title to real estate to their heirs without the necessity of probate in one simple, inexpensive instrument. A TODD can be a very effective estate planning tool under the right circumstances. As previously mentioned, the settlor is the person who transfers or conveys property into the trust. These are the trust assets. The trustee is the person or institution who is responsible for managing the trust and the assets within it. The beneficiary is the person or organization who ultimately receives some or all of the trust assets. Trusts can be set up in a way that involves assets being transferred to it while the settlor is still alive; these trusts are called inter vivos (living) trusts. On the other hand, if the settlor prefers, the trust can be set up so that the assets are transferred upon the settlor's death; these trusts are called testamentary trusts. There are a variety of different uses for trusts. Some examples include wealth distribution, asset protection, and providing for family members with special needs. At Jensen Sondrall, Persellin, & Woods, P.A. we will help you set up the trust that most appropriately accomplishes your desired result. Our firm specializes in Probate and Estate Administration. Probate is the legal process by which a person's debts are paid and assets are distributed upon his or her death. Estate Administration includes the probate process as well as non-probate transfers of the deceased's estate. State laws and procedures vary greatly, so it is important to consult a firm with expertise in this area of the law to ensure that the deceased's assets are distributed correctly. A Healthcare Directive lets your physician, family and friends know your health care preferences, including the types of special treatment you want or don't want at the end of life, your desire for diagnostic testing, surgical procedures, cardiopulmonary resuscitation and organ donation. By considering your options early, you can ensure the quality of life that is important to you and avoid having your family "guess" your wishes or having to make critical medical care decisions for you under stress or in emotional turmoil. Call the law office of Jensen Sondrall, Persellin, & Woods, P.A. and discuss these options with an experienced attorney that can help guide you and your family through these important choices. A power of attorney is a document in which you state that you give someone else the authority to make certain decisions and act on your behalf. Executing a power of attorney does not mean that you can no longer make decisions; it just means that another person can act for you also. As long as you are capable of making decisions, the other person must follow your directions. You are simply sharing your power with someone else. You can revoke the Power of Attorney at any time if you become dissatisfied with what they are doing. Give the law office of Jensen Sondrall, Persellin & Woods, P.A. a call and discuss whether a power of attorney would be beneficial for you and your family.